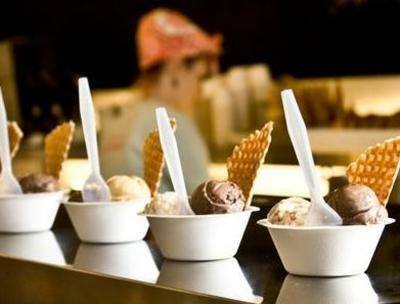 Columbus could be named Ice Cream City, USA. 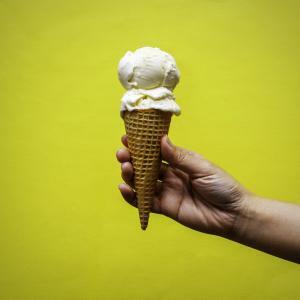 From much-loved heritage brands to scoop shops featuring Ohio ingredients, Columbus has plenty of options for cups, cones, and everything in-between! Family-run Johnson’s has been serving central Ohio since 1950. Their original shop sits in Bexley, where generations have gathered to enjoy classic scoops, sundaes, and shakes. Johnson’s has also recently added shops in both Dublin and New Albany! Cream & Sugar is a much-loved neighborhood shop in the Hilltop, offering soft serve (Dole Whip, anyone? ), dipped cones, sundaes, parfaits, ice cream sandwiches, and more during the spring and summer months. 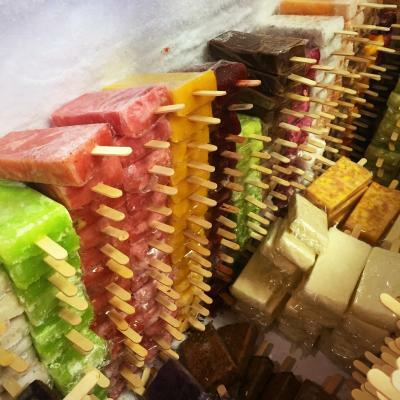 This Mexican ice cream parlor serves a wide range of classic and creative ice cream flavors, but also features paletas, frozen treats made with fresh fruits, cookies, a nd other colorful ingredients. The friendly and fun Clown Cone is a neighborhood ice cream parlor on Cleveland Avenue serving more than 30 flavors of ice cream as well as a colorful array of candies. Located in northwest Columbus on Hard Road, Mardi Gras has welcomed many families to enjoy both traditional and international flavors. Their ice creams draw on the cuisines of India, Pakistan, Iran and other countries, so you’ll find delights like sweet rose, mango, lychee, ginger, and many more. Based in northeast Ohio, Handel’s has two locations in central Ohio: one in Hilliard and one in Powell. They serve a huge range of ice cream flavors, as well as sundaes, smoothies, frozen yogurt, sherbets, and other sweet treats. 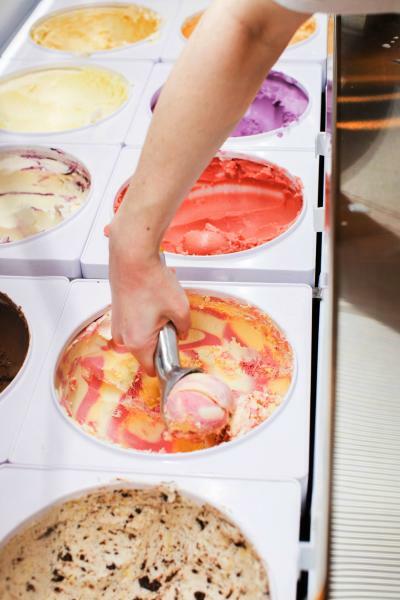 Jeni’s could be considered one of Columbus’ chief exports. Now with shops all across the country, Jeni’s started as a stall inside North Market, and now features 10 stores in Columbus. Residents and visitors alike flock for signatures like Salty Caramel, Pistachio Honey, and Supermoon, not to mention the seasonal creations using Ohio ingredients. Belle’s combines both French and Japanese traditions to craft delectable treats. Even though it’s primarily a bakery, Belle’s is known for their matcha soft serve and their parfaits. Cincinnati-based Graeter’s is another local favorite around Columbus, known for their old-school-style ice cream shops and classic flavors like Buckeye and Black Raspberry Chip. A new Hilliard location joins 11 other shops and a very active food truck. 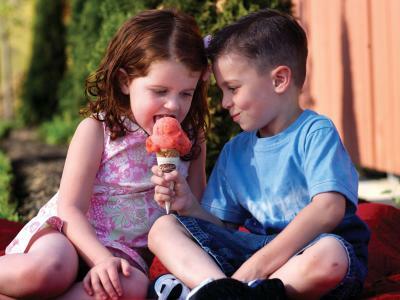 The Little Ice Cream Shoppe is a family-run stop in Hilliard serving homemade ice creams in both classic and creative flavors, as well as sundaes, root beer floats, banana splits – everything you need to indulge your sweet tooth. Serving up Mexican styles of ice cream and other frozen treats, Dulce Vida has locations on the southwest and northeast sides of Columbus. The bright and colorful shops feature case after case of ice cream flavors and paletas. Large picture menus hanging above the cases can help guide your decision. Simply Rolled picks up on the trend of Thai street-style rolled ice cream, where ice cream and toppings are mixed and flattened on a chilled plate, then scraped into rolls and served in a cup. The resulting designs are as beautiful as they are delicious. Simply Rolled started inside Oats & Barley Market in the Short North, and is expanding to Westerville soon. Using a special-recipe cookie dough that’s safe to eat, Cookie Dough Creamery in Worthington makes very craveable treats. Mix-and-match ice cream and cookie dough flavors plus add-ins to your heart’s content! Whit’s is a regional favorite originating in nearby Granville, Ohio. Their rich custards are a decadent treat in those hot summer months. They feature chocolate, vanilla and a rotating weekly special flavor. In Uptown Westerville, Coppa Gelato delights crowds with rich gelatos that range from Belgian chocolate and panna cotta, to earl grey and maple bacon, and loads of seasonal flavors. Top it off with espresso, cakes, and other pastries.